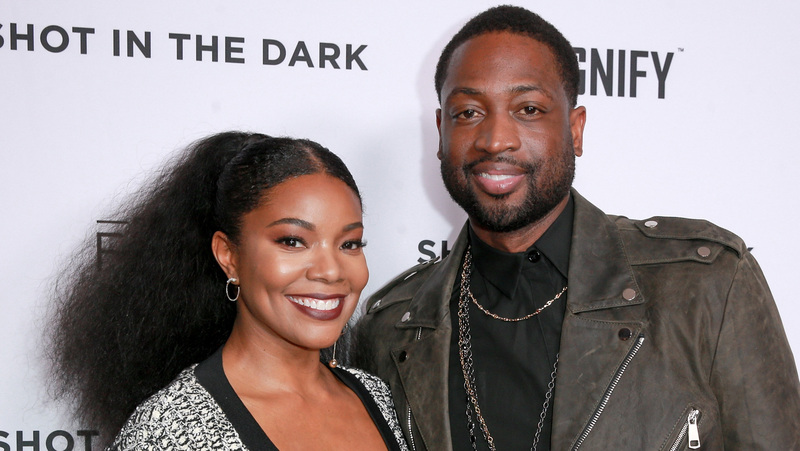 Actor Gabrielle Union and Miami Heat star Dwyane Wade’s daughter, Kaavia, is now almost 1 month old. It’s been a very difficult path to motherhood for Union, who previously suffered as many as nine pregnancy losses. But Union’s gestational carrier had a successful C-section on Nov. 7. And this week, Union shared a personal video on Instagram of the birth — and moments leading up to her baby girl’s delivery. The video includes clips of Union and Wade discussing their struggle with infertility, footage gleaned from various TV interviews. “We’re finally getting to this place where there’s this little person that will call me mom… ” Union said in one clip. “It wasn’t actually the problem of getting pregnant, it was holding the baby. And we discovered finally what I have is called adenomyosis,” Union added. Adenomyosis is a form of endometriosis. “We will be in the room when our child comes into the world,” Union said in an interview portion of the video. The film then cuts to her weeping happy tears behind a hospital mask as Kaavia is delivered safely from the surrogate. Seeing Wade and Union bonding with baby Kaavia gave us all the feels. Every. Single. One. “To have her in this moment, it’s all worth it, you know? All the sacrifice, a lot for my wife,” Wade said, cradling Kaavia. But this is definitely one right way. Their joy is undeniable. Congratulations to the very happy Union-Wade family.